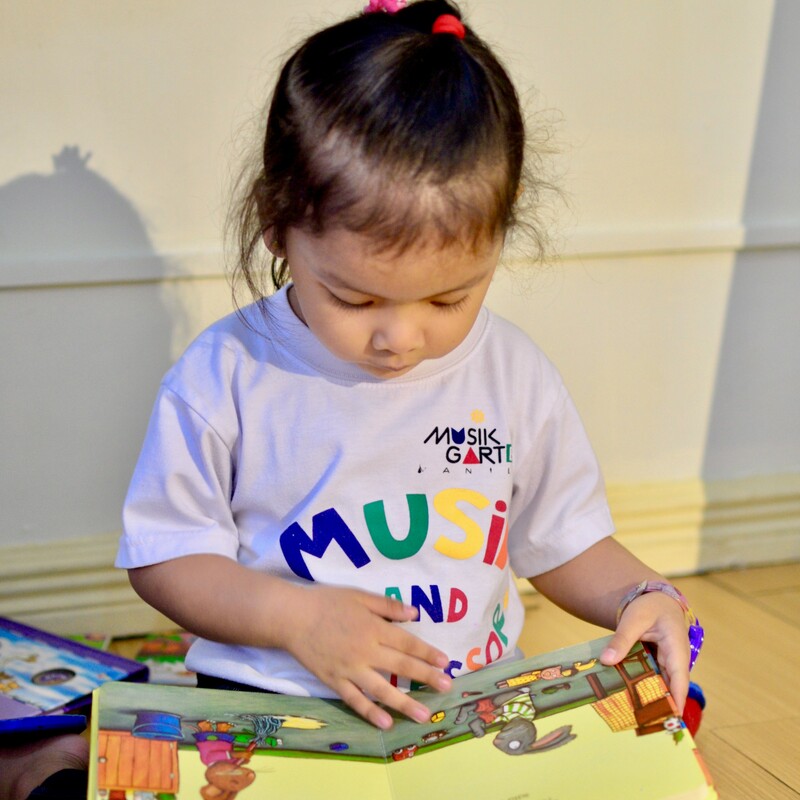 Musik & Montessori is our early childhood education program for mixed ages 3 to 5 years. This is a combination of North American based Musikgarten program and Montessori methodology in teaching very young children. 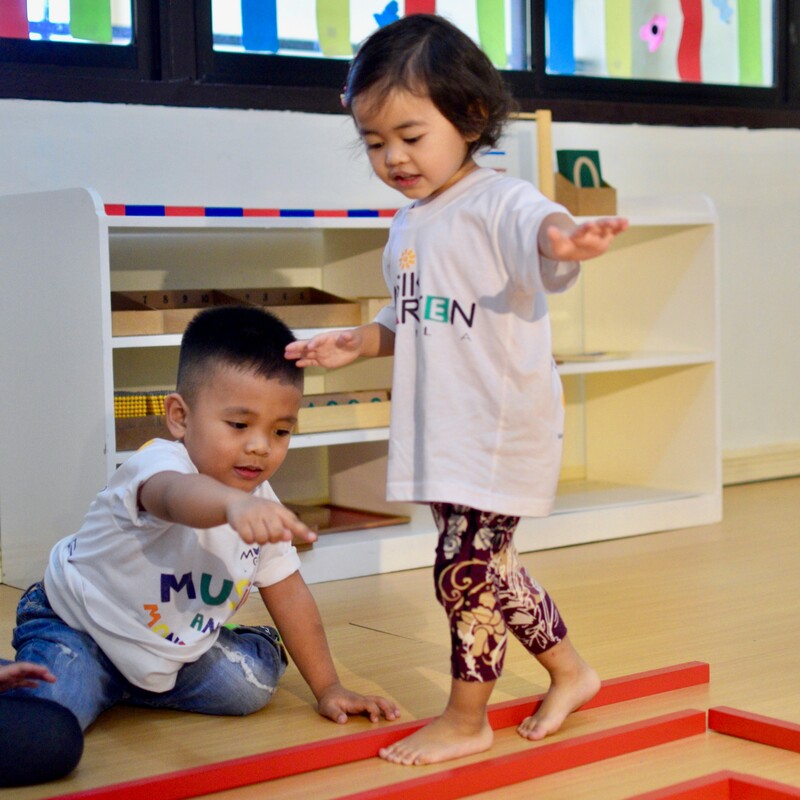 Since Musikgarten curriculum is co-authored by Montessori enthusiasts in the U.S., we believe that the best method to combine with our program is Montessori. 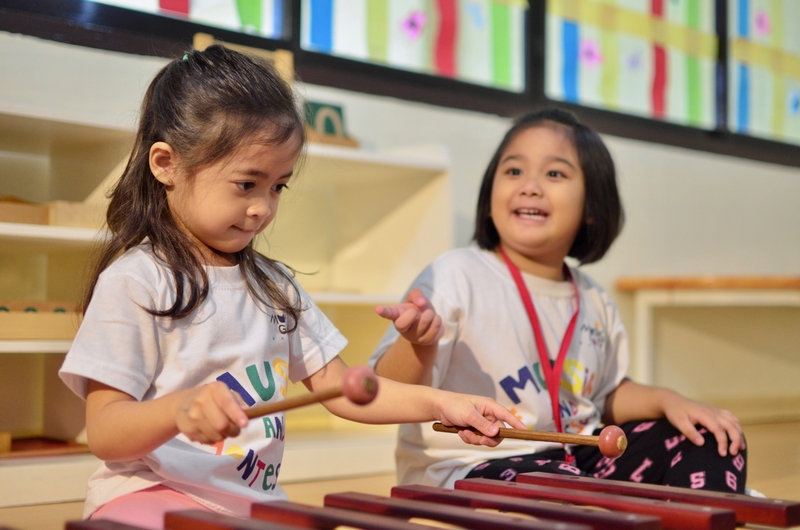 Musikgarten Manila believes in the philosophy of Dr. Maria Montessori. 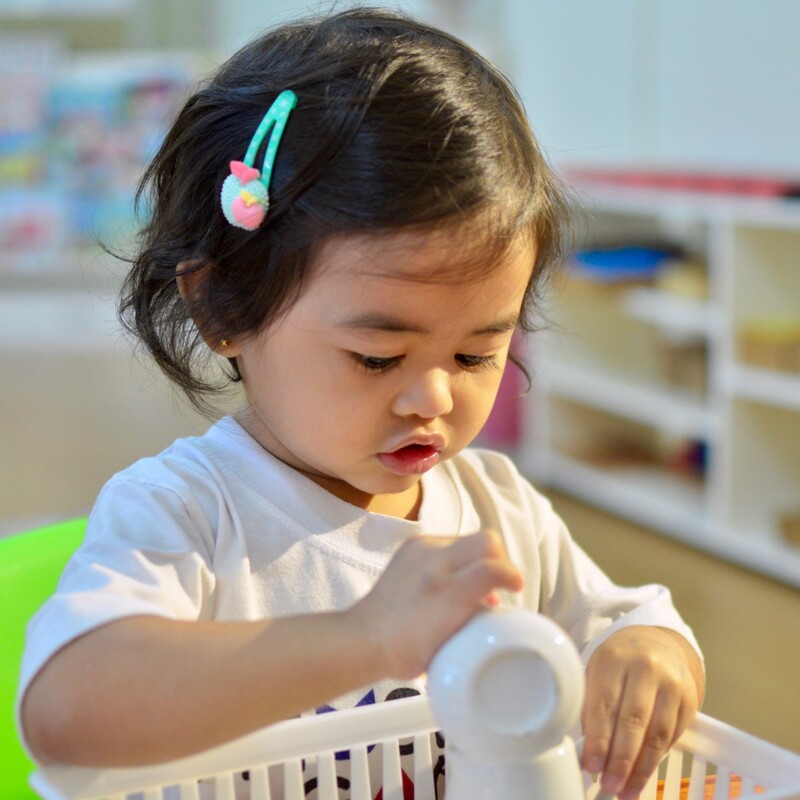 Our classroom is a prepared environment for the child that has all areas for development, namely, practical life area, sensorial, math, language and geography. We also have the open space where we do music and movement curricula of Musikgarten. 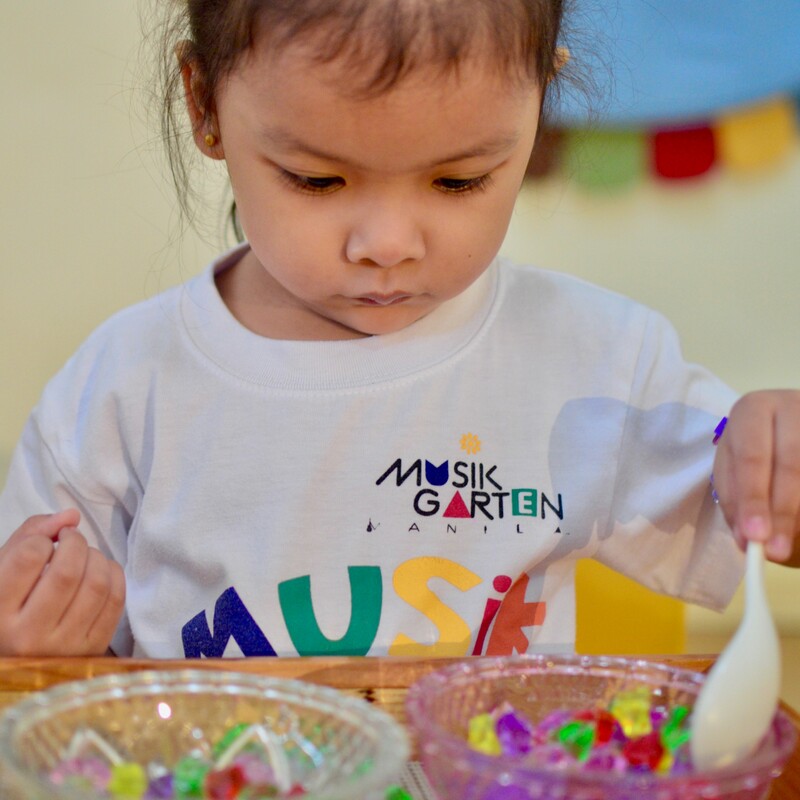 Based on research and studies, play, music and movement under Musikgarten program prepares the mind of a child for higher form of learning, hence stimulate the neural pathways of the brain. 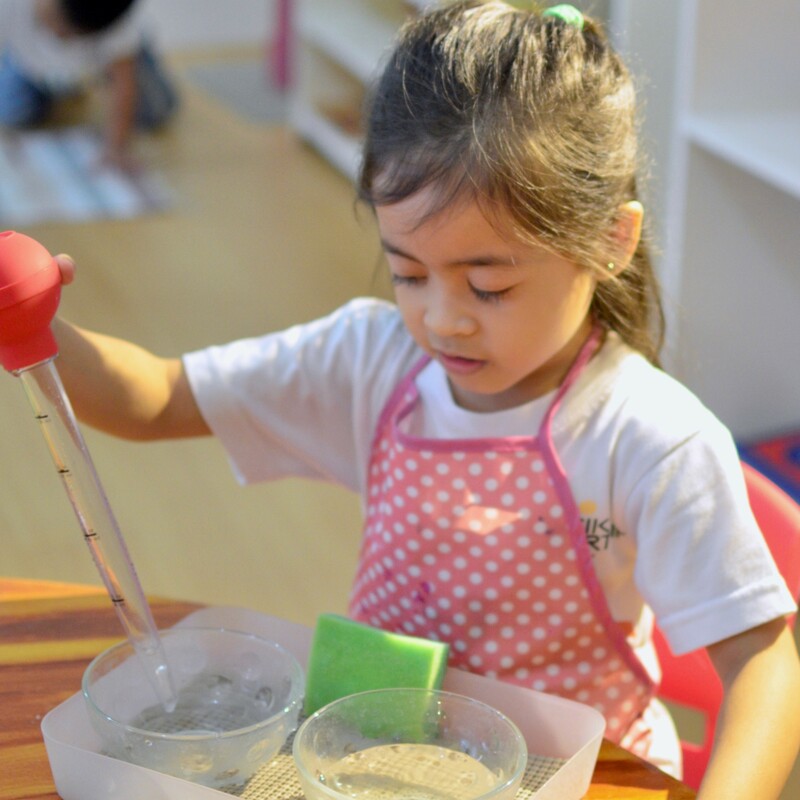 The Montessori environment naturally teaches children self-regulation and refines important skills like concentration, self-control and motivation. Our prepared environment teaches order and sequence as children have innate need for an orderly environment. The Montessori materials are studied, designed, refined and evaluated to be age-appropriate and in developmental levels. The materials have been tested in various countries and cultures and have achieved the same results. 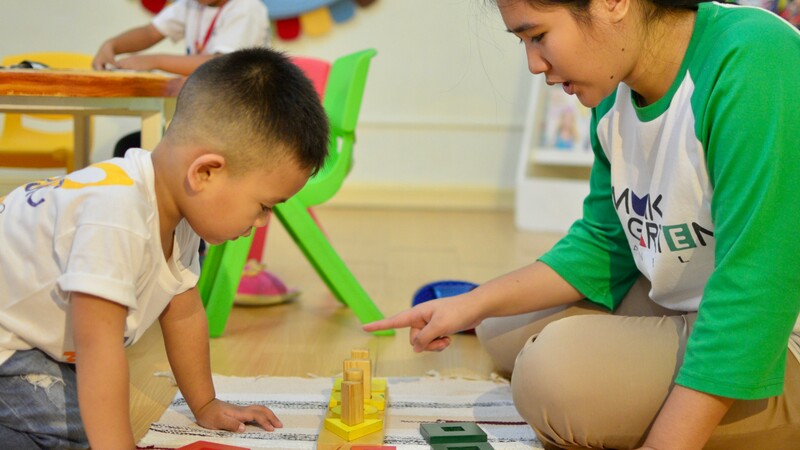 Montessori is a scientific method of education that aims for children to develop order, coordination, concentration, independence and positive self-esteem. 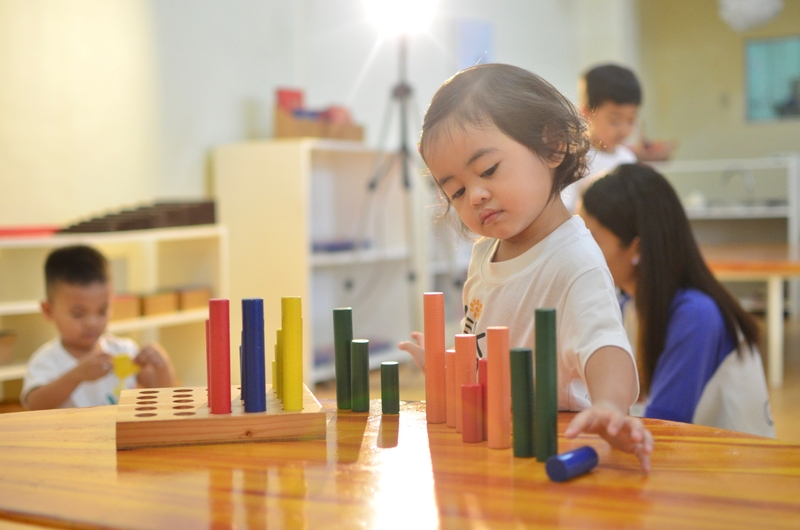 Montessori focuses on the key developmental stages of children from three to five years old. It supports child-centered learning that allows them to learn and explore at their own pace. “Follow the child”, as Dr. Maria Montessori would say. Allowing children to direct their own learning enable them to learn in an enjoyable way and develop an enthusiasm for learning. 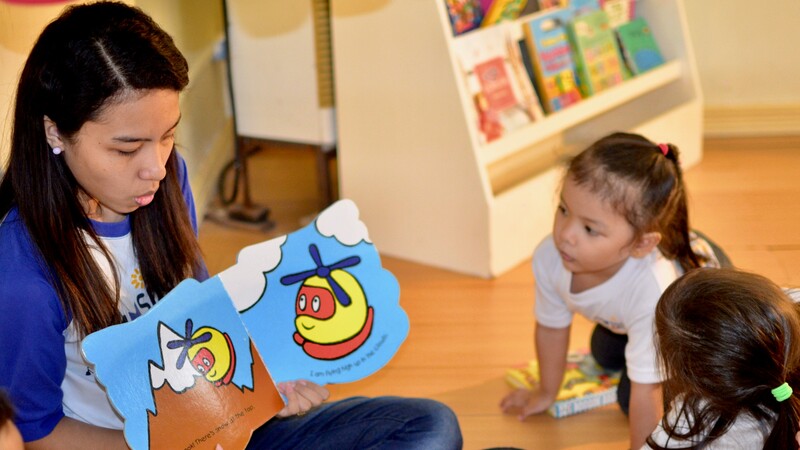 We believe that the success rate of learning is when a child is fully supported in his sensitive period. Sensitive period is when a child is focused in doing work or tasks he chooses to work on. Teachers are facilitators and observers in the classroom. They guide and encourage children to follow the steps and finish their tasks while remaining unobtrusive to them in the process. 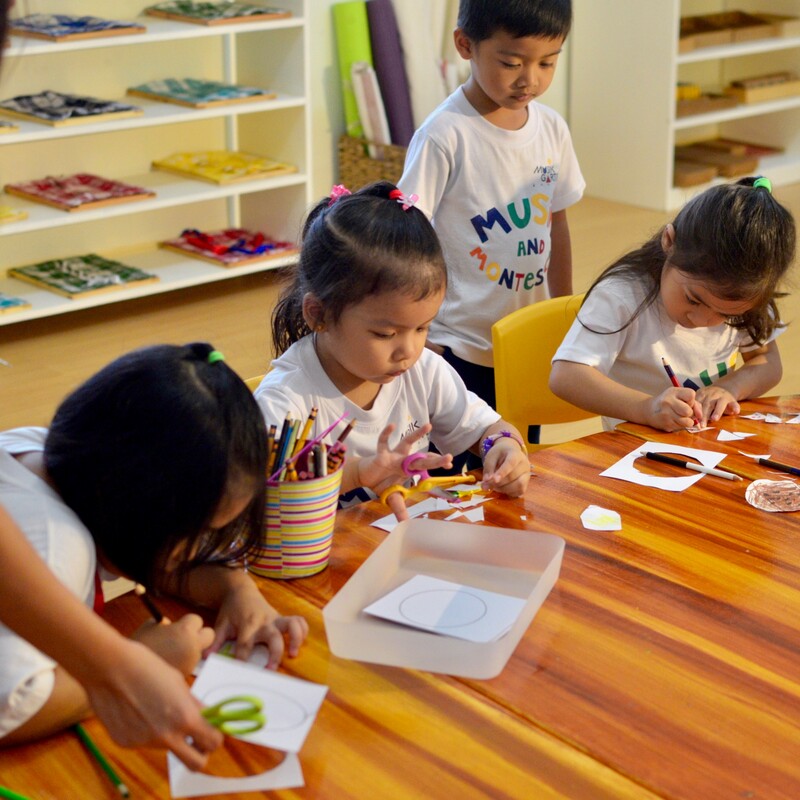 Montessori approach is hands on learning experience with highly individualized instruction. This method develops analytical skills while it still inspires creativity. 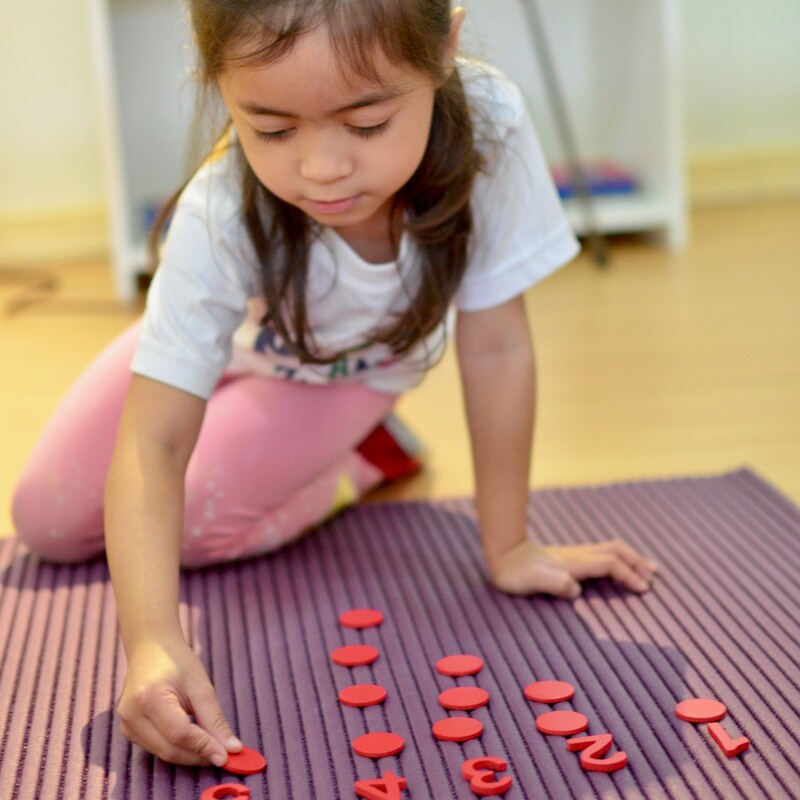 Montessori education cultivates engaged learners with a positive and confident approach to life long learning.